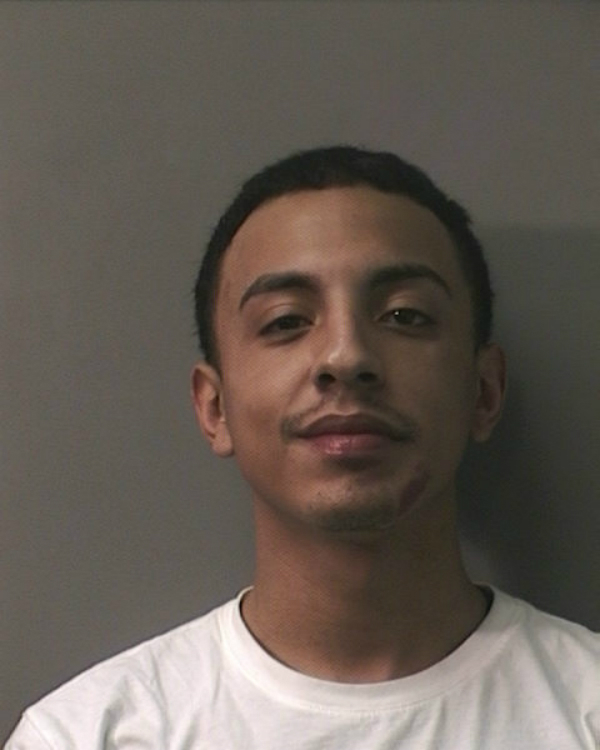 (Long Island, NY) The Fifth Precinct reports the details of a Theft of Services arrest that occurred at 12:43am on Wednesday, March 02, 2016 in Elmont. According to Police, Officers on routine patrol were approached by the manager of Applebee’s Restaurant located at 1710 Hempstead Turnpike Elmont. The manager had pointed out three individuals in a gold colored Chevrolet Malibu NY registration GVA9317 and stated that they had left the restaurant without paying their bill. 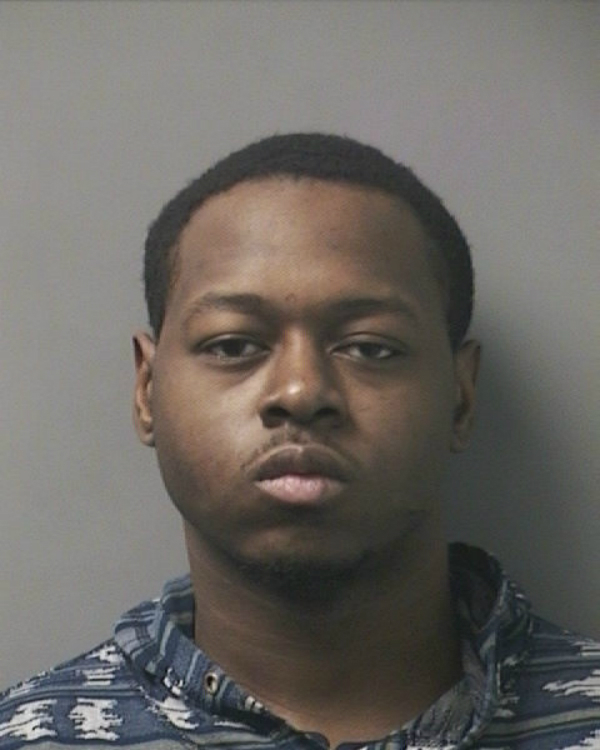 Nassau County Police reports the arrest of Marquis Bernard, 21, of Brooklyn for Theft of Services that occurred on Wednesday, March 02 in Elmont. Photo Credit: NCPD. At that time, the officers observed the subject vehicle turn off their headlights and drive out of the parking lot over a curb, bushes and the sidewalk proceeding westbound on Hempstead Turnpike. The officers observed the vehicle at the intersection of Fieldmere Street and Hempstead Turnpike where it had collided with a guardrail at the gas station located on the corner. All three subjects exited the vehicle and fled the scene on foot. Nassau County Police reports the arrest of Kristofer Pettway, 20, of Elmont for Theft of Services that occurred on Wednesday, March 02 in Elmont. Photo Credit: NCPD. Defendant Kristofer Pettway, 20, of Elmont was located and placed into custody at Warwick Road and Hempstead Turnpike. Defendant Marquis Bernard, 21, of Brooklyn, NY was located and placed into custody in the rear yard of a residence on Warwick Road. Defendant Bernard ignored Officers verbal commands to stop and resisted arrest as he attempted to jump over a fence. Defendant Marlon S. Paton, 20, of Brooklyn was running in the rear yards on Fieldmere Street and attempted to jump over another fence when he was placed into custody. The Officers observed that Defendant Paton started to become lethargic and unsteady on his feet. At that time, Officers requested an ambulance to the scene of arrest for medical attention. For his comfort Defendant Paton was placed into the police car while Officers monitored his condition until the ambulance arrived. Upon ambulance arrival he was transported to a local hospital for evaluation and treatment. Defendant Marlon S. Paton was pronounced deceased at 10:47am by Dr. Hueng at Franklin General Hospital. Defendants Pettway and Bernard are each charged with Theft of Services. Additionally, Defendant Bernard is charged with Resisting Arrest. The defendants will be arraigned on March 3, 2016 in First District Court 99 Main Street Hempstead.